For renting within 24h reach us via Whatsapp: +34 628 279 166. Our priority lies in your satisfaction. We want your experience with Happy Rent to be an uniquely, unforgetable moment. No matter if you are in the beach of Costa Dorada or at the airport of Barcelona: We make sure to hand you the car you need and where you need it. Check out our availability. We are reachable for you on every day of the year. We provide you with a support that answers all your doubts and questions once you have completed your reservation. Personal pick-up and drop-off of your vehicle! Pick-up or drop-off your car rental at the airports El Prat Barcelona or Reus. You can check the coverage of this service here. Add a baby/ infant seat to your reservation. 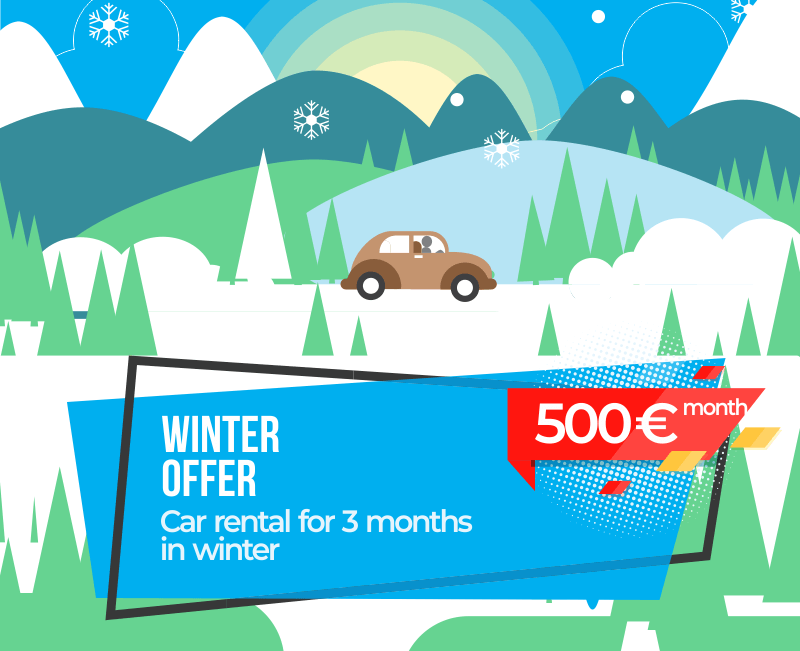 With a reservation of Happy Rent you will automatically get an additional driver, for free! We do not make you wait in large queues: Our pick-up and drop-off services permit you to rent your vehicle from anywhere (check availability) without making you wait. We also took care of short and easy understandable contracts so you do not loose time with bureaucracy. Miami Playa, Salou, Cambrils, L’Ametlla de Mar, L’Hospitalet de L’infant and Mont-Roig del Camp, Barcelona Airport, Costa Dorada, AVE Tarragona and many more. Plenty of pick-up and drop-off locations (we worked out the route for a road trip and decided where to hire a car). Had a lovely holiday with friends this summer. Happy Rent manager was very helpful and on time! Highly recommended! Good price, friendly staff. On the downside – I wish there were more models available. But nice service anyway! We were planning a holiday to Spain and decided to rent a car. Good price, pickup at the station. Happy Rent Costa Dorada S.L. is a car rental company with offices in Miami Playa, Tarragona and Costa Dorada, Spain. 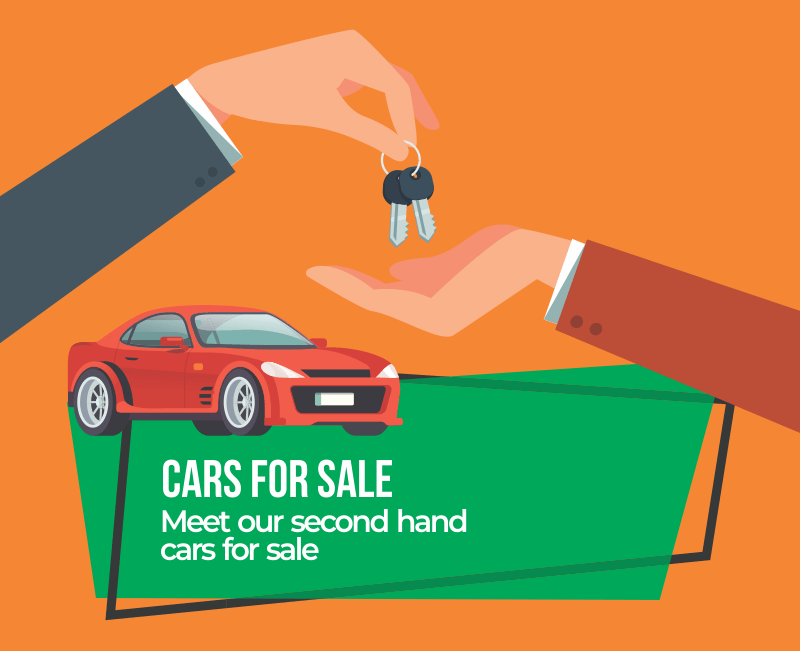 We offer a new fleet of cars, motorbikes and bicycles for every price range. From small and medium cars to vans for heavy load as well as motorbikes and Scooters and bicycles for the trips trough the city or the mountains. And that is not all: you can also rent motorbikes and bicycles with us, as we have everything you need to enjoy the most of your holiday in Tarragona. We put at your disposal different kinds of vehicles in several models. For example, you can choose between small, large and family cars, or scooters and large displacement motorcycles, the most suitable option for your long road trips. We also put into your hands the rental of a leisure bicycle and mountain bike. Just choose the one that responds better to your needs and preferences. Since your spare time is valuable and short, we know that you want to take advantage of every single second. For that reason, we do not want you to waste your holiday in useless and boring stuff. That is why our cars, motorcycle and bicycle rental company will bring your vehicle to your preferred spot in the coast of Tarragona. So, you can pick up your bicycle, motorcycle or rental car in many of the hotels, apartments and campsites based in the most tourist towns in the province of Tarragona. We can deliver them in different locations, like Salou, Cambrils, Miami Platja, L’Atmella de Mar, Mont-roig del Camp or L’Hospitalet de l’Infant. On the other hand, our car rental company also offers its services at the main railway stations and airports in Tarragona and Barcelona. 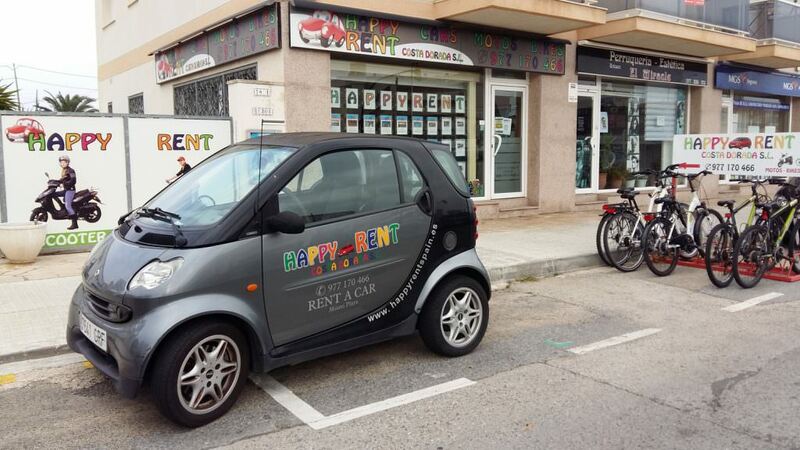 In fact, you will find Happy Rent at El Prat de Llobregat and Reus airports. We are also ready to deliver your rental car, motorcycle or bicycle at Camp de Tarragona station, where the high-speed train (AVE) stops, and at Cambrils and L’Hospitalet de l’Infant railway stations. 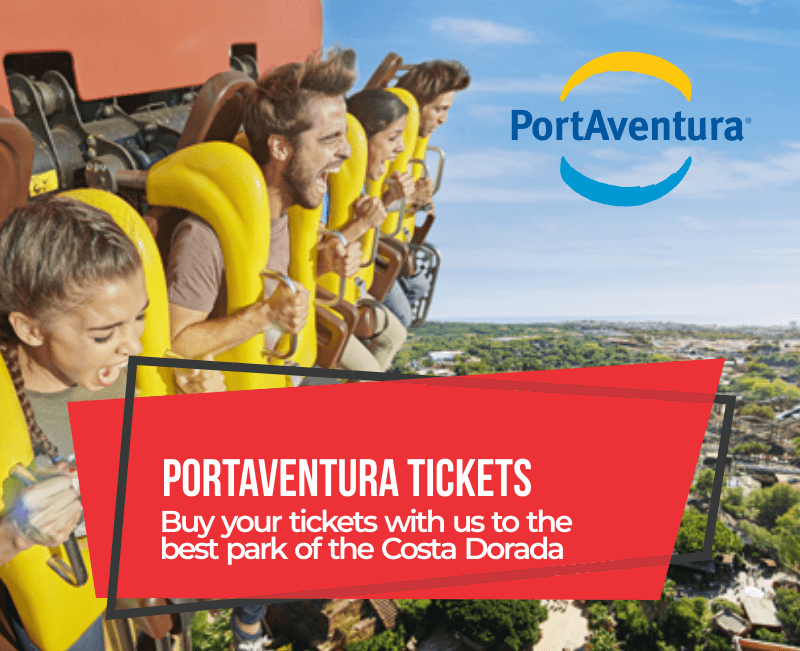 How can we convince you to choose us as your car rental company on the Costa Dorada? Well, there is still one more reason, and this is the definitive one. In addition to having a renewed fleet of vehicles, all of them —cars, motorcycles and bicycles— have got cheap fares. We can assure with pride that we are a low-cost car rental company. Anyhow, being a cheap car rental company does not prevent our services from reaching the highest quality standards. We invite you to have a glance at our website and check it for yourself. 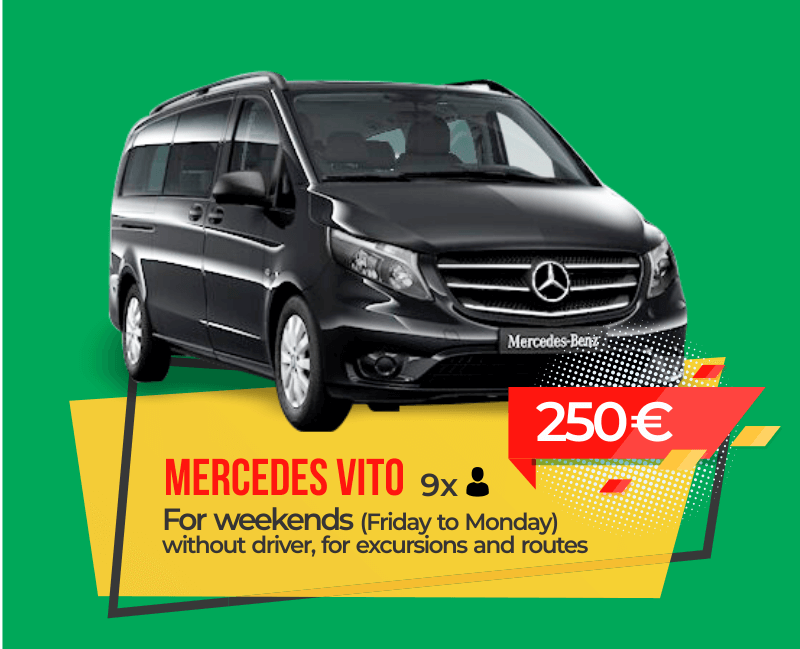 We are convinced that, due to our vehicles and our competitive prices, you will be able to enjoy an unforgettable holiday on the Costa Dorada. Rent your conveyance with us! Happy Rent Costa Dorada S.L. is a car rental with at the Costa Dorada, España. We offer cars, motorcycles, scooters and bicycles at Miami Playa, Salou, Cambrils, L’Ametlla de Mar, L’Hospitalet de L’infant and Mont-Roig del Camp and also at the airports of Barcelona and Reus.